After a long journey from England, Ray Bhullar arrives early on a winter morning at the gates of a remote Indian village called Ashwer which will be her home for the next three months. The door of the hut she will share with Serena, her English co-worker, is a loose sheet of metal, the windows simple holes in the walls. Beyond the lockless door, village life goes on as usual. And yet, the village is anything but normal. Despite the domestic chores being carried out, cooking, fetching water and sewing and laundering linens, Ashwer is a village of murderers, an experimental open prison. And when Ray and her crew take up residence, to observe and to make a documentary, it seems that they are innocent visitors into a violent world, on a mission to hold the place up to viewers as the ultimate example of tolerance. But the longer Ray and her colleagues stay and their need for drama intensifies, the line between innocence and guilt begins to blur and an unexpected and terrifying new kind of cruelty emerges. 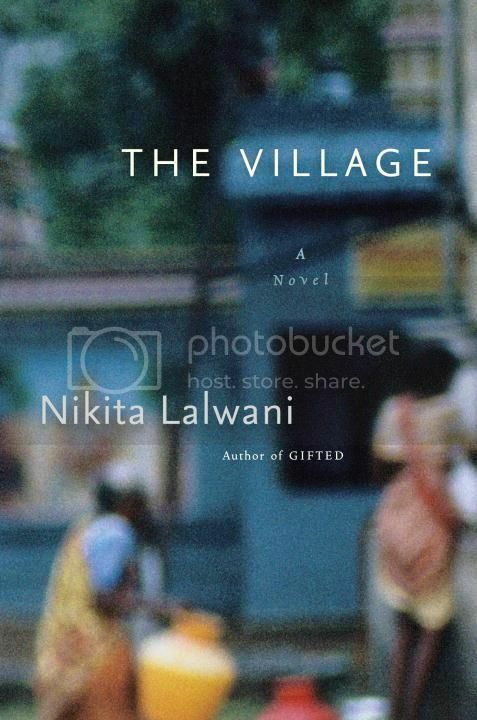 A mesmerizing and heartfelt tale of manipulation and personal morality, Nikita Lalwani’s new novel brilliantly exposes how truly frail our moral judgment can be. This is a really fascinating novel and now, in the wake of my Orange is the New Black obsession, I find myself thinking about it even more. The main character is a BBC producer of Indian heritage visiting this open prison in India, and the ways she interacts with the prisoners, is fascinating, with both their cultural and class differences. Ray finds herself in the middle between her white BBC colleagues and the Indian prisoners. In addition to issues of race and culture, Lalwani also examines different approaches to justice. If you’ve already finished binging on Orange is the New Black, check out The Village for a prison story with a totally different approach. For more information, please see the publisher’s page.